So after making Sativa Station I decided to make an all inclusive traveling station. I present Science Station - Keef. 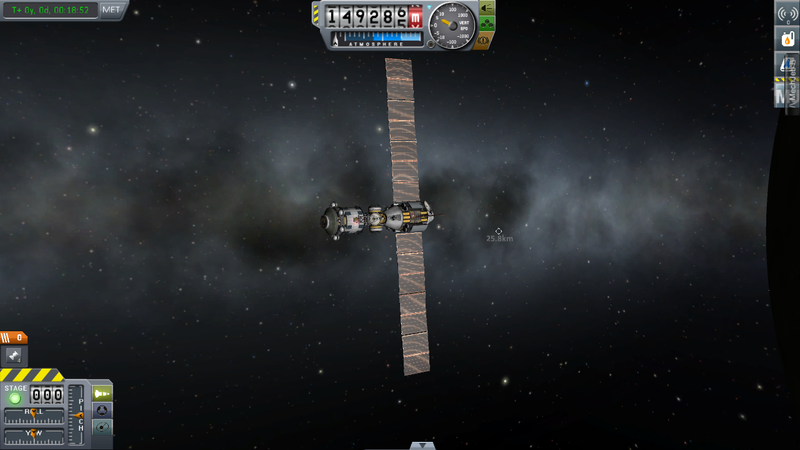 Yes it's 1.1 so I'm sharing the whole adventure of getting this thing into orbit. My recording software does not like 1.1 so I had some game crashes along the way. The only mod is Kerbal Engineer. It's features include... Plenty of room for Kerbals, a 2.5m docking port and 6 1.25m docking ports, science lab and instruments, solar panels, batteries, radiators, multiple antennae, and engines. Yes, this station is mobile too. I'm including the How to Station video to show how I make my ring stations. Simple, but effective: The Tri Station. does anyone have a crew ssto that can make it to a 250 kilometer orbit? Is @Just Jim's emiko station here? In my opinion it is the best asteroid station ever! Thanks, but I don't know if Emiko Station is the best... there are some really impressive stations posted on here. 1. Why so? Spaceplane SSTO's are nice in the fact they can transport many in a cabin, and glide down for a safe touchdown in a deisred location. Very easy to pick landing area. 1. Feel free to download the Moray Delta VI on my craftfile page. Put desired crew cabins into the loading bay, and there you go. Delivers 12 kerbals or more, depending on your payload design - a payload under 10. tons can be delivered into munar orbit. Let me point out, that the craft is flying very stable, but designed for advanced spaceplane pilots, that know how to deal with low TWR SSTO ascent profiles. What makes you think that? It takes a bit longer, yes, but they are cheap and do the job quite well. 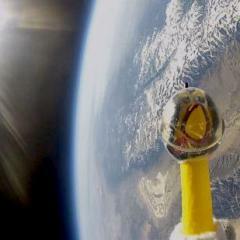 Transporting things to or from orbit is done best with a spaceplane, in my opinion and practical experience. The last of which I'm currently using to assemble a twenty part space station, attached to a C-class Asteroid. Pictures will follow. 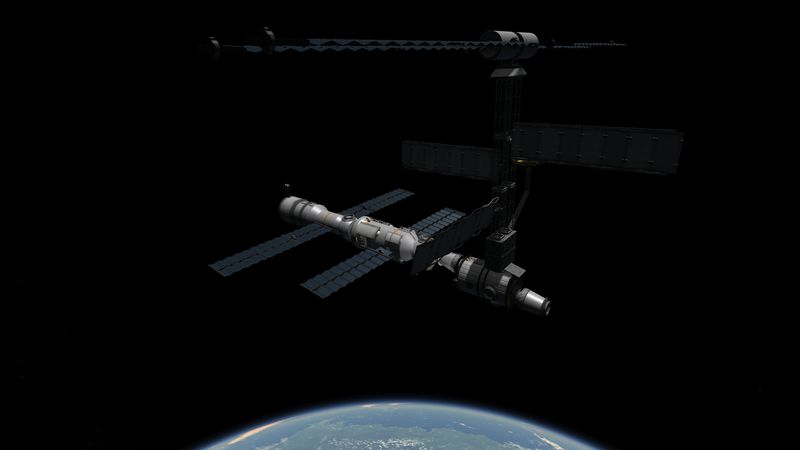 I've never actually made a proper space station, because I can't dock for the life of me (mechjeb can) and I'm ridiculously lazy when it comes to launches. Post your Space Stations, not your SSTO's. Keep on topic. I thought it was somewhat on topic because it's what I use to get to and from Kerbin to a space station, and someone asked... but as you requested, the post and picture have been removed..... now kindly remove it from your quote as well. 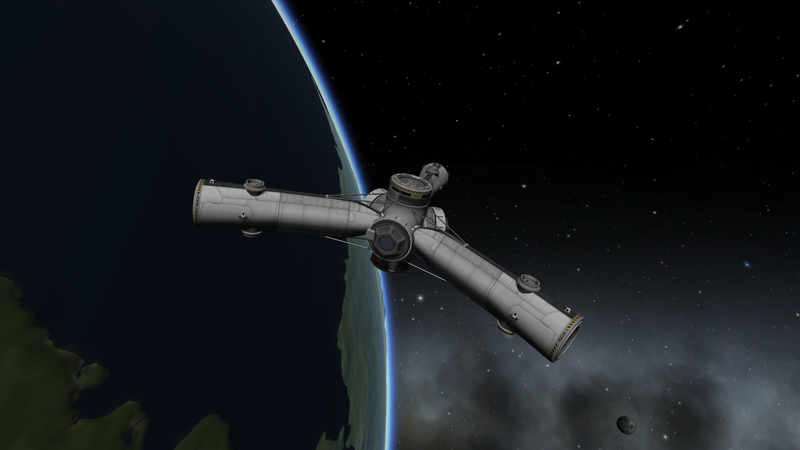 That's my 5,000 ton KOGS (Kerbin Orbital Gas Station) built mostly of B9 Aerospace Parts. It was designed to extend the Range of my standard Valkyrie SSTOs from LKO to Minmus and Beyond. 1.0.5 Engine Limitations made it go boom pretty soon though after I tried an Approach with a larger craft. Now to spend the day adding more modules. The good news is I do have a SSTO Spaceplane that can take up around 40tons of cargo. 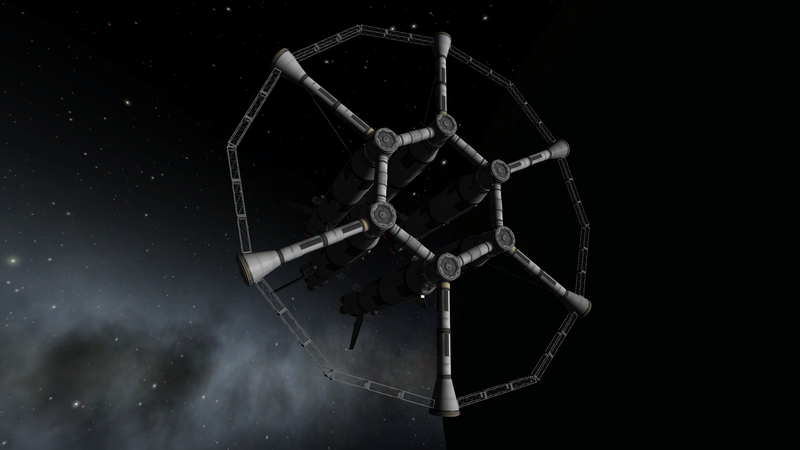 I sent this octagonal core station up in one piece and use it as an LKO fuel stop to refuel shuttles for crew rotation and missions around Kerbin. 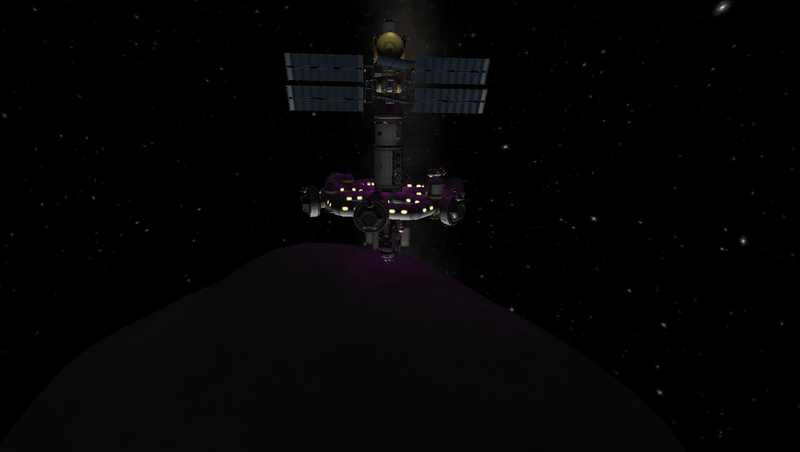 I have a ship that brings ore from Minmus to keep the fuel flowing. I hope the ISS community pack will resurrect! Don't worry, Mike has given the ok to have Tristonwilson take over the project. 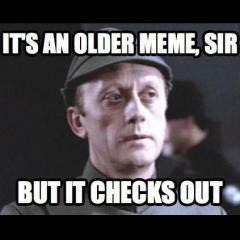 There is no way we will let it die! I got tired of assembling rings using docking ports. So I sent this frame up in one piece. I'll add some of my frame modules to make it livable.